JC Fábrica de Válvulas S.A., established in 1968, is a multinational company specialised in the manufacture and sale of high quality valves. 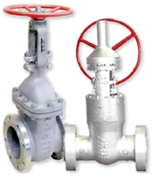 The expertise and knowledge acquired over the years coupled with the continued investments in the design of valves, has made JC a world renowned company in the field of valve applications. 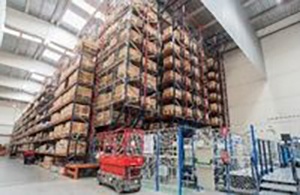 JC Fábrica de Válvulas S.A. offers its customers a world wide service, from technical advice to choose the right valve up to the design and manufacture of custom built valves to meet special service requirements. 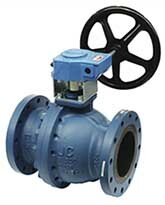 JC Valves manufacture forged and cast Floating & Trunnion Ball Valves as well as Gate, Globe & Check Valves and Strainers up to 1250NB (50”) in classes up to ANSI 2500/API 10,000. JC are approved by numerous majors including Shell, BP, Mobil, Exxon certified to API600, API6D, CE, PED, SIL3, API607, ISO 10497:2010 and Fugitive emission. JC can manufacture valves for special and critical service including high temperature, cryogenic, subsea, abrasive service in all materials including exotic alloys, weld overlay and cladded. The JC group of companies own Actreg actuators also located in Barcelona. Actreg manufacture heavy duty scotch yoke piston style hydraulic and pneumatic up to 114,000NM. This enables JC to supply turnkey project packages of actuated valves in short lead time from single source supply in short lead times. The full range of JC API6D and API607 ball valves are firesafe certified to API607/ ISO 10497:2004 as well as TA Luft fugitive emission prototype certified. In addition, JC is one of the few manufacturers in the world to have it’s API600 wedge gate valves firesafe certified and witnessed. JC are SIL3 certified in floating and trunnion ball valves as well as TA Luft and ISO-EN 15848-1 fugitive emission protoype certified. 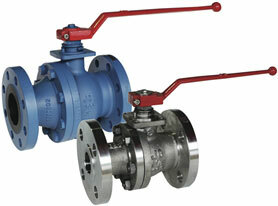 JC Ball Valves are also Shell approved. 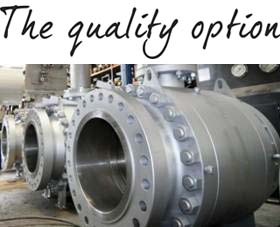 Global Supply Line are the world’s largest stockist of JC ball valves. 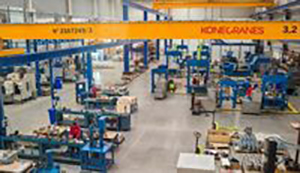 Our stock range includes cast and forged floating & trunnion in 150 to 2500 class up to 600NB. 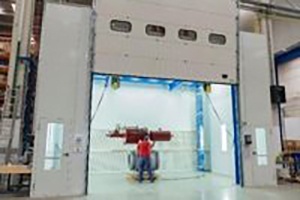 In addition GSL has exclusive access to JC’s large factory stockholding ex Spain. JC Valve products have been certified by various certification agencies such as : ISO 9001, API6D, API600, APIQ1, API6A, PED, CE, TUV, ATEX, LLOYD’S Type Approval & GOSTR, TA Luft & ISO-EN 15848-1 Fugitive Emission. Carbon steel, Stainless steel, Low temperature carbon steel, Duplex, Special alloy, Investment castings. Casting quality as per ASME B16.34 Appendix I to IV severity levels S3 to V2 and EN 10203. High & low temperature, abrasive service, cryogenic. Polished ball Ra 1 (in soft seated valves), stem ground to R1 1.6. Full traceability of shell components, upon request, ball and stem as per EN 10204 3.1. Antistatic device integral with the stem. NACE MR.01.75 wetted parts and bolting as Standard. Fire safe as standard construction ISO 10947 : 2004 and API 607. Fugitive emissions certified EN-ISO 15848-1 and TA Luft. SIL 3 (Safety Integrity level 3). All JC 515 & 530 series standard floating ball valves in WCB, LCC and CF8M body include a triple composite body gasket seal system incorporating a 316 stainless steel spiral wound compressed graphite filled body gasket in addition to an integral PTFE inner seal ring. This body sealing system ensures a firesafe seal in additional to all the chemical resistant capabilities that a PTFE inner seal ring will provide. The JC body gasket system is superior to typical graphite plus viton seal systems that have a disadvantage in terms of the reduced range of chemical resistance of viton and graphite, but also viton has a reduced temperature range compared to PTFE. Many competitors only have a single graphite seal which has inferior leak resistant properties and will not meet fugitive emission requirements. Furthermore, JC ball valves have an epoxy coated lever and GSL stocks most sizes with all stainless steel top works parts. We also stock 316SS levers as spare parts. Carbon steel, Stainless steel, Low temperature carbon steel, Duplex, Special alloys, Casting quality as per ASME B16.34 appendix I to IV severity levels S3 to V2 and EN 10203. Full traceability of shell and major trim components, as per EN 10204 3.1. Fire safe and antistatic as standard construction ISO 10947 : 2004 and API 607. JC 25 Series trunnion valves use a 316LSS spiral wound graphite filled body gasket (as well as a viton back up in larger sizes) in addition to a metal-to-metal stepped recessed join. Normal 2 and 3 piece trunnions often only use an O-ring and a graphite fire-seal. If the O-ring is damaged by temperature, additives in the line, is scratched or rolled out during installation or if the groove is not perfect the valve will leak. 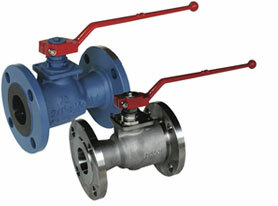 Also 2 piece cast valves only have one body join not two and are lighter as a result of less body bolts. Finally unlike 3 piece-forged valves the JC 25 Series does not have an external lower trunnion flange again removing another potential leak point. Also, if 316, F51 or F6 trim is specified, 25 Series valves also have a stainless lower trunnion. 3 piece trunnion valves with lower trunnion flange normally supply the lower trunnion in A105 + ENP as it is integral with the lower flange and supplying full stainless steel is cost prohibitive in conventional design ball valves. Another advantage of the 25 Series is it has an energised ‘self adjusting’ packing system utilising Belleville springs secured with a locking tab, with graphite packing and a viton/PTFE back up seal. Furthermore, JC can optionally be supplied with TFM 1600 PTFE seats which is superior to normal PTFE. Click here for more information. However, should the stem leak and emergency stem sealant injection fail to seal the leak, the packing can be tightened inline due to the external packing nut. Other trunnion valves only have an internal O-ring seal and a graphite fire seal. Should the O-ring become damaged by temperature, the media, a pressure surge, erosion or corrosion, etc., the valve must be removed from the line. Whereas with “25 Series” valves, the flexible graphite packing is not only a fire seal but the main pressure seal. However unlike traditional “packed” valves the 25 Series also uses an elastomer O-ring and PTFE seal ring. Carbon steel, Stainless steel, Low temperature carbon steel, Duplex, Special alloys. The JC fully Welded Ball Valve gives it maximum strength at minimum weight as well as maximum resistance both to pipeline pressures and stresses. 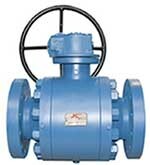 The compact, spherical design also eliminates body flanges, thus reducing overall size and leak paths. JC welded body ball valves are used mainly in Gas transmission and distribution pipelines (Mid-stream), typically for underground and buried installation. 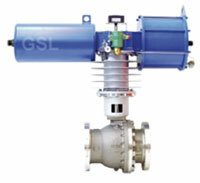 JC Valves can be delivered with pneumatic, electric, hydraulic or gas-over-oil actuators as per customer requirements. 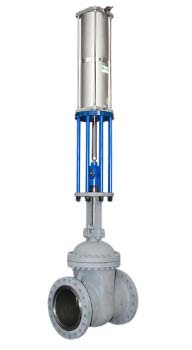 The JC group own Actreg Srl who manufacture scotch yoke pneumatic actuators allowing turnkey supply of actuated valves. Global Supply Line also stock Actreg scotch yoke actuators in all sizes. We are sole Actreg agents in Australia, NZ & PNG. Now stocking Actreg and Biffi (Emerson) scotch yoke actuators to 33,000NM! Strainers are designed bolted bonnet as standard, but, upon request, pressure seal design is available for Class 600# and over. Basket, Y (wye), Double basket, Seperators, Quick opening, Cone, Tee. Simplex or duplex type up to 96”, size & class as per customer’s request. Caron steel, Low carbon steel, Alloy steel, Stainless steel.